The National Museum of Computing put on a request in June 2015 for people to help them fix their collection of BBC Micros. They answered the call and helped get far more machines back working than anyone had hoped for. We’ve been sent over a report of what went on on the day. It sounded like everyone had fun, even if they did run out of new components in the end! A crack volunteer repair team descended upon The National Museum of Computing on Bletchley Park last weekend to restore 1980’s BBC micro-computers, one of the most popular features of the Museum’s Learning Programme. 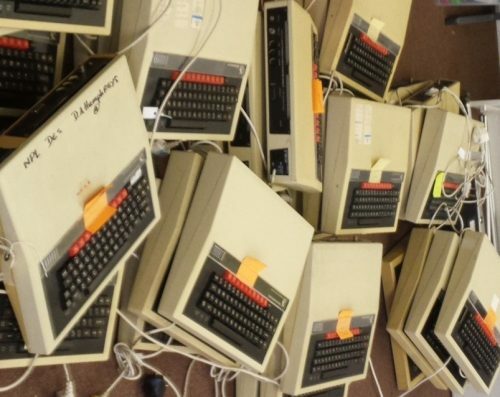 By end of the day, 36 BBC Micros had been restored and ready for use in the TNMOC Classroom by visiting student groups learning to code as well as casual visitors playing retro games and learning or reviving skills in programming in BASIC. The team of twenty Beeb skilled enthusiast restorers, male and female, ranging in age from a teenager to seniors came from as far away as Wales, Essex and Surrey to use their expertise to help the next generation of would-be coders. They were responding to an appeal in June by the Museum for volunteers to help bring donated BBC Micros in storage back to life. Owen Grover, TNMOC’s Technical Support Officer who organised the day, was delighted with the result: “The atmosphere was great and the results far exceeded our expectations. As anticipated, the most common fault we encountered in these incredibly robust 1980’s machines were failed power supplies. 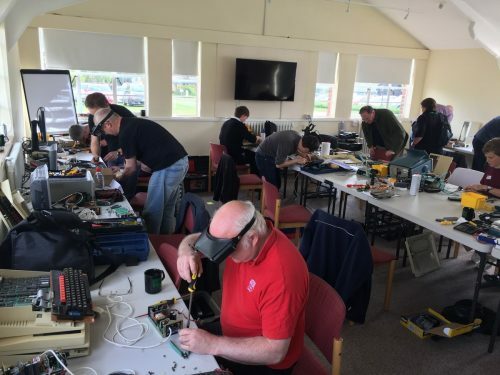 TNMOC had expected about 20 machines to be restored in the course of the day, but the team was so skilled, dedicated and efficient that the Museum had exhausted its store of spare components by the time 36 had been rebooted. The restored machines are now ready to replace any malfunctioning machines in TNMOC’s Classroom where thousands of students have an introduction to computer coding each year. The Classroom is also extremely popular with the many visitors whose first experience of computing was with BBC Micros in schools in the 1980s.